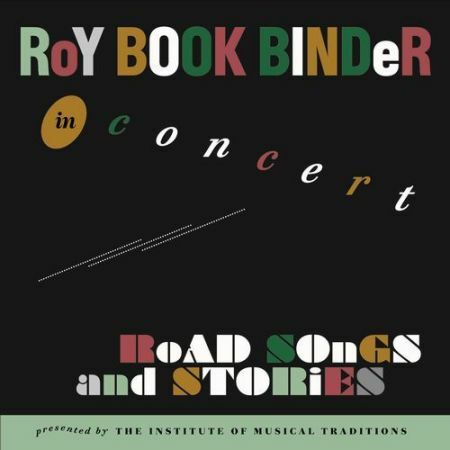 Singer, songwriter, guitarist and teacher, Roy Book Binder has cemented his place in the world of American roots music and particularly acoustic blues over the last nearly 50 years. He took lessons from and toured with the Rev. Gary Davis in the 1960s, a time when he also “re-discovered” the great Medicine Show Entertainer, Pink Anderson (whose given name Syd Barrett combined with that of Floyd Council to produce the appellation of one of the world’s greatest rock bands). He has played with everyone from Robert Lockwood Jr. to Jorma Kaukonen. And the release of In Concert: Road Songs & Stories, his first live album in over a decade, is a wonderful reminder of what a fine performer he is. Featuring a fine mixture of originals and covers, In Concert: Road Songs & Stories was recorded in 2009 at the Saint Mark Presbyterian Church in North Bethesda, MA. The album opens with the original “St. 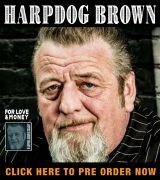 Pete Blues” before launching into high speed ragtime of “Black Dog Blues” from which it is immediately obvious that Book Binder’s adroit finger-picking skills remain in fine fettle. The influence of the Rev. 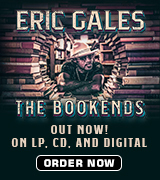 Gary Davis remains discernible throughout in the alternating thumb bass-lines and finger-picked melodies of Book’s own compositions such as “What You Gonna Do?” as well as covers of songs like Davis’s classic “Candyman”. The 18 tracks on In Concert : Road Songs & Stories include three standalone spoken introductions (presumably to enable radio stations to cut straight to the music), which range from the hilarious (such as his tale about Jazz Gillum and his own brother-in-law, Rock Bottom) to the historically fascinating (his story about the Rev. Gary Davis, Blind Boy Fuller and Peter, Paul and Mary). It is probably worth noting that In Concert: Road Songs & Stories is a different concert recording from the Book’s great DVD In Concert at the National Storytelling Festival, even though both releases share some of the same tracks (like “Rag Mama”, “CC & O Blues”, “Keep A Knockin’” and “Electricity”). This is no doubt to be expected given that the concerts were recorded only two years apart. Book Binder introduces “It’s Gonna Be Alright Someday” with a mock-apology about the “happy little optimistic song” and how he wrote it one morning when he woke up in a good mood: “Usually a blues guy doesn’t wake up feeling that happy. And if he does, he tries to suppress it. Can’t be too cheery.” But when all is said and done, his music is happy music. It is uplifting and life-affirming, rather like the man himself. And with crystalline production, In Concert feels like you’re sitting in the front row at a Book Binder concert. Great stuff.